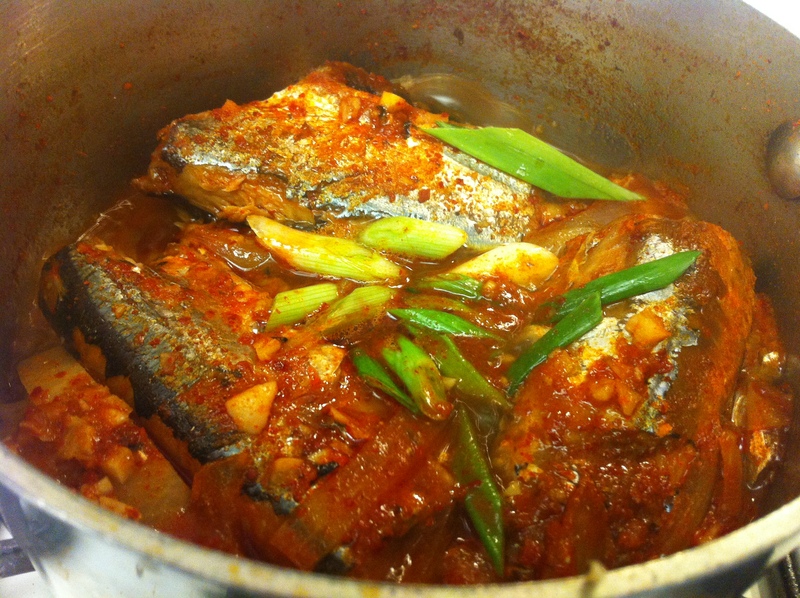 KKongchi-jorim is a quick and easy fish dish I cook for myself and my mother for lunch. 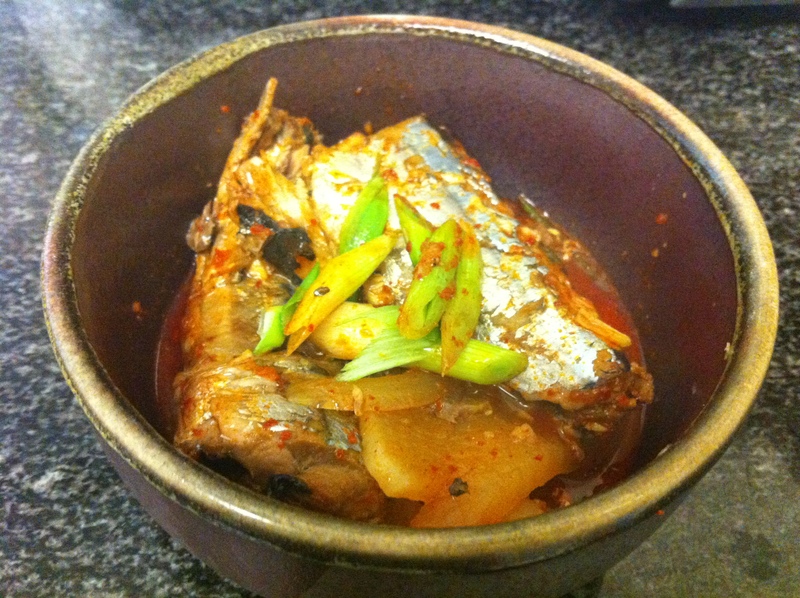 I usually use canned mackerel pikes, which can be found in any Korean grocery. 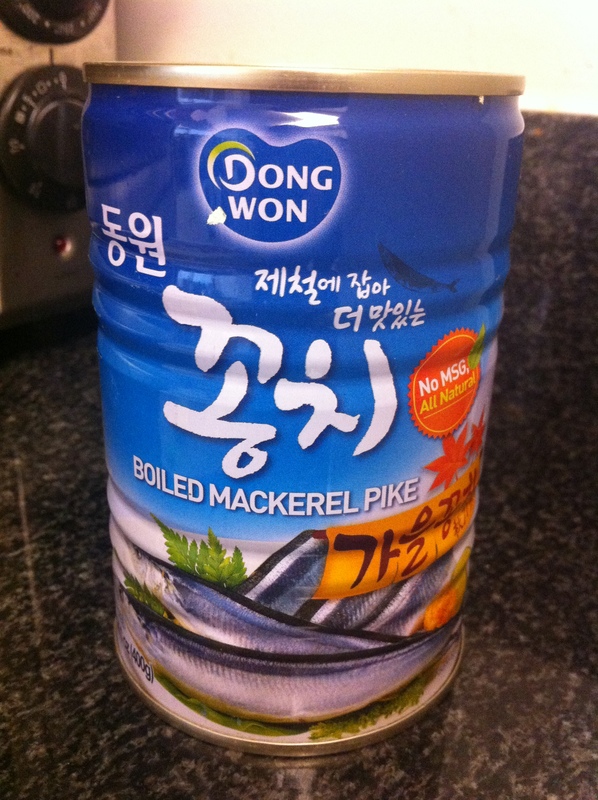 I always have canned mackerel pikes and canned mackerels in my cabinet. This insures that I will always have something to fall back on when I’m in a pinch. For those of you who think that canned fish is a strange concept, it is no different than canned tuna or sardines. Canned mackerels include only the gutted and cleaned bodies of the fish and can be eaten as whole, including the bones. This is a nutritious way to consume not only calcium but also is full of omega-3, DHA, vitamin A, vitamin B and vitamin E. You can, of course, use a fresh mackerel for this dish, which would be even better. Boil a few cups of water to rinse out the mackerel pikes. 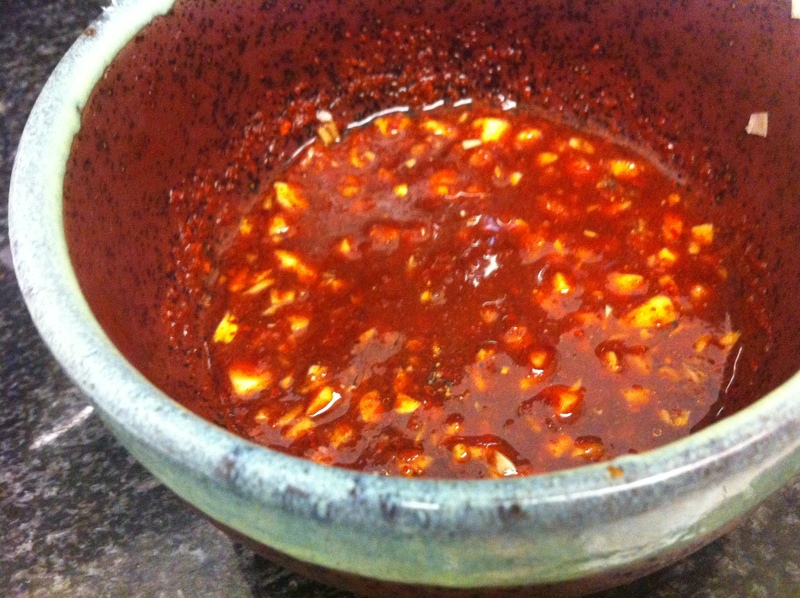 While the water is boiling, mix all the marinade ingredients. 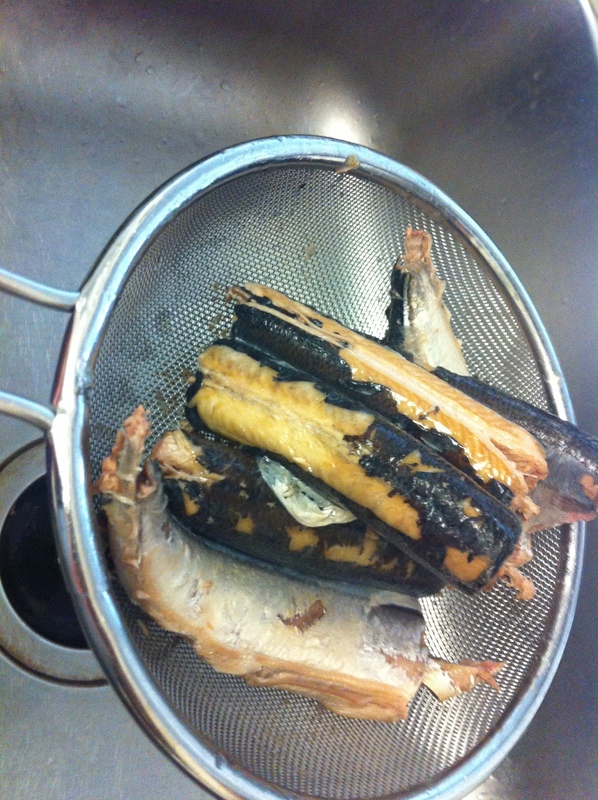 If you are using a canned mackerel, I like to rinse it in boiling water once. Drain the liquid from the can, place the mackle pieces in a sieve and pour boiling water over your sink. You can skip this step if you are in a rush. 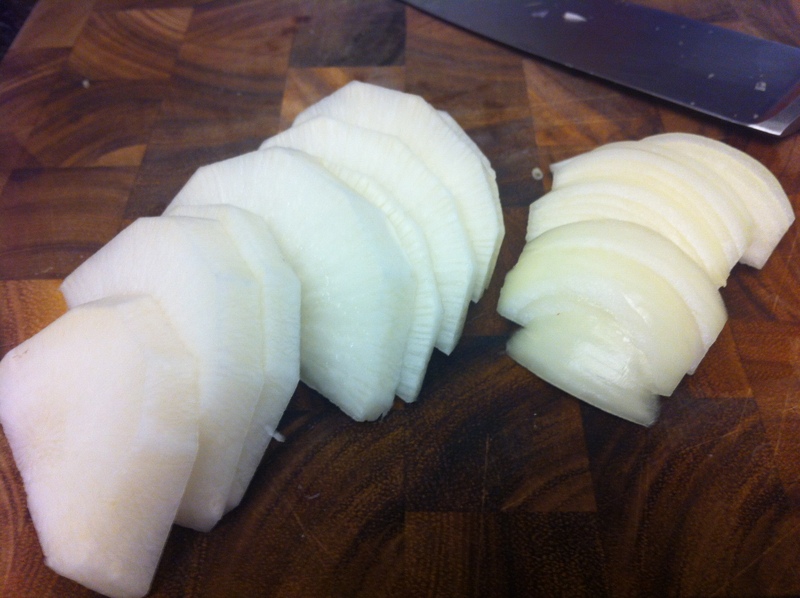 Spread out the cut moo on the bottom of a pot, place the mackerel on top of the moo, and add the onions and about 1-2 cups of water. Pour the marinade over the fish and bring it to a boil with the lid open. 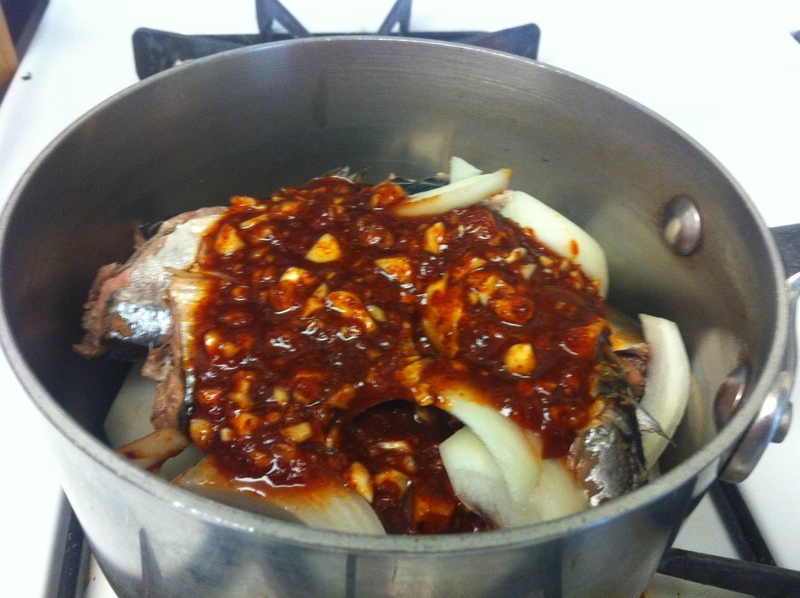 When the dish starts boiling, reduce the heat to medium and occasionally spoon the sauce over the fish. Let is cook until sauce is reduced to about half. Add the peppers and scallions and cook for another minute or two. 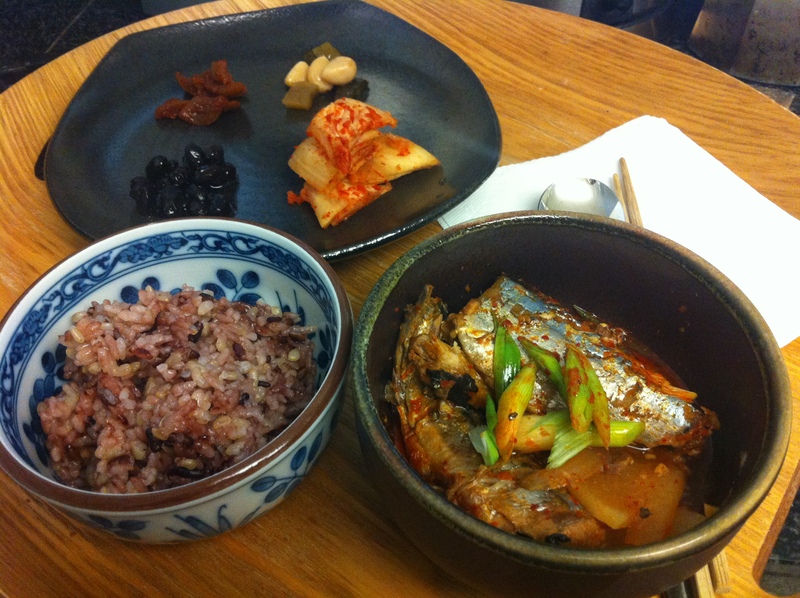 This entry was posted in Good for dinner, Good for lunch, Seafood and tagged Fish, Mackerel Pike by gangnamkitchen. Bookmark the permalink.